Mayor Martin J. Walsh hopes the rules will protect tenants from unreasonable evictions without unfairly tying the hands of landlords. Mayor Martin J. Walsh is wading into the contentious fight over renters’ rights in Boston, proposing new rules that he hopes will protect tenants from unreasonable evictions without unfairly tying the hands of landlords. The bill, unveiled Monday, would bar most landlords from clearing buildings all at once, a practice housing advocates say is increasingly common in fast-changing neighborhoods such as East Boston and Egleston Square. It would allow evictions for eight specific reasons, including failing to pay rent, property damage, and illegal activity, and require notification to the city within two days. Tenants’ groups have been pushing for a “just cause eviction law” for more than a year amid growing concern that working-class Bostonians are being priced out of the city. 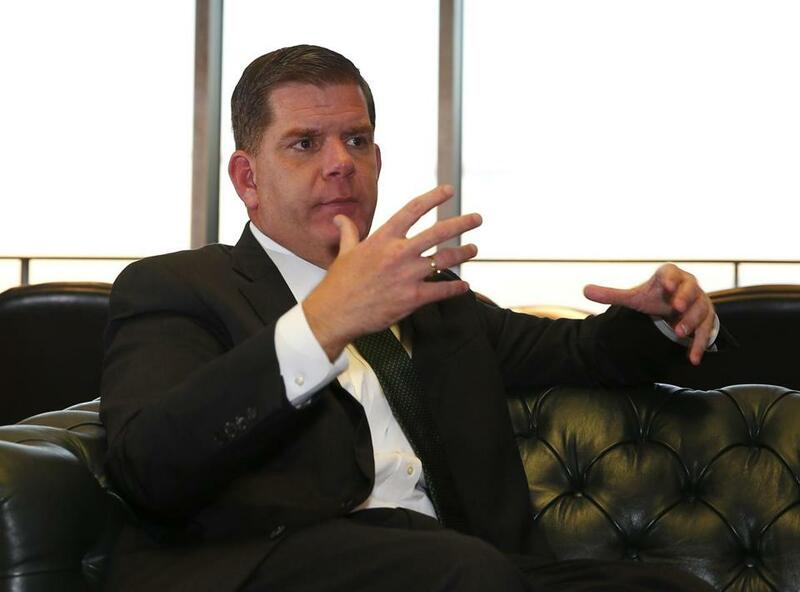 The mayor’s approach faces fierce opposition from the same landlord groups and developers that Walsh is pushing to build more housing, which he says is needed to tackle Boston’s high cost of living. City officials say they’re trying to walk a fine line with the plan, protecting renters from displacement without squelching new development. And they acknowledge their plan, which will need votes from both the City Council and state Legislature, has a tough path to approval. The law would fall well short of rent-control provisions that cover many apartments in other pricey big cities such as San Francisco, New York, and Los Angeles. Massachusetts voters outlawed rent control in 1994, and city officials said they were doubtful that a local rent control measure in Boston would win the necessary votes on Beacon Hill. Walsh’s proposal needs state approval because it is more stringent than Massachusetts’ existing eviction laws. In a city where nearly two-thirds of households rent, the eviction law debate has been simmering for more than a year. Tenant groups have been holding rallies and lobbying City Council members, while landlord groups have organized a campaign of their own. Both sides came to City Hall in March for a council hearing that lasted 4½ hours. Walsh had stayed out of the fray, until now. His involvement, and a bill that matches much of what housing advocates have been pushing, is welcome, said Kathy Brown, coordinator at the Boston Tenants Coalition. Real estate groups welcomed Walsh’s involvement, too, but they said specifics of his proposal leave a lot to be desired. Massachusetts law already has strong protections for renters, said Jeffrey Turk, an attorney who represents large landlords. Adding more will likely just drag out legitimate evictions. City officials say they think the biggest impact could come from rules that would require landlords to notify the city within two days of filing for an eviction. That will give housing counselors more time to contact tenants, notify them of their rights, and perhaps work out an agreement that helps them stay in their homes. The notifications would also help the city track eviction activity across neighborhoods nearly in real time, Edwards noted, something it can’t now do. In a sign of their tempered ambitions, housing advocates have already backed off a requirement for mediation in cases where landlords want to increase rents by 5 percent or more. Walsh’s plan, they said, is a modest proposal designed to prevent the most egregious evictions. But opponents don’t see it that way. To Skip Schloming, executive director of the Small Property Owners Association, even this innocuous-seeming bill is a step back toward rent control and could squash many landlords — and real estate investment — in the city. He and his members, he said, are girding for a battle.